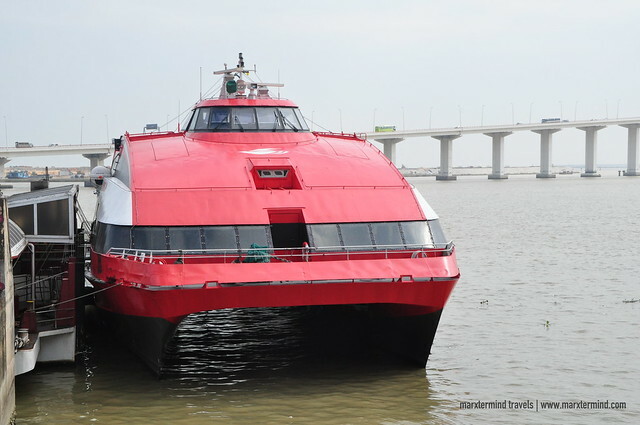 Easy, classy and safe, those are the words that would describe my ferry ride experience with TurboJET. I didn’t know that I was going to enjoy the ferry ride so much because before, ferry ride was nothing but just a dull sea travel for me. Gazing at the sea waiting for the ferry to arrive to its destination. 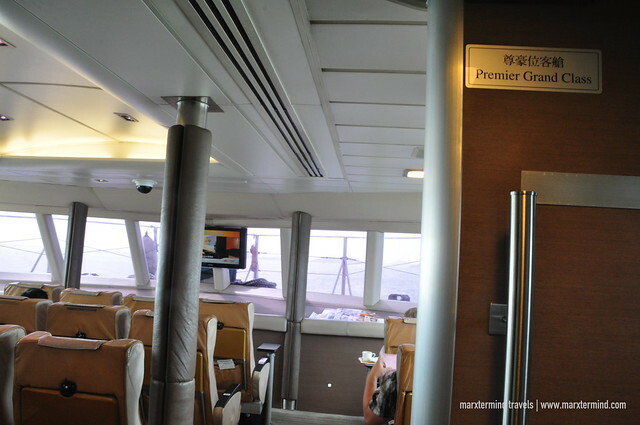 But that was before until my friends and I experienced travelling on the Premier Grand Class of TurboJET when we went to Macau and returned to Hong Kong. It wasn’t that often that we could experience a grand ferry ride. So when we had the opportunity to travel via TurboJET on a Premier Grand Class, it was such a great treat for our group to experience. 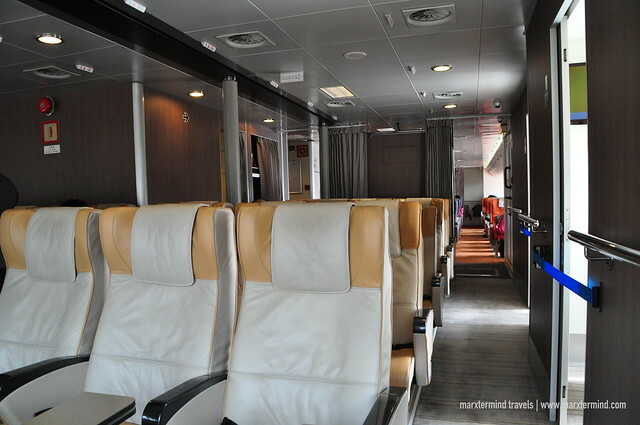 TurboJET provided us the most extraordinary sea travel experience like we’ve never had before. The entire experience was very convenient from booking, boarding, sailing to arrival. TurboJET is the strongest high-speed vessel fleet within Asia. 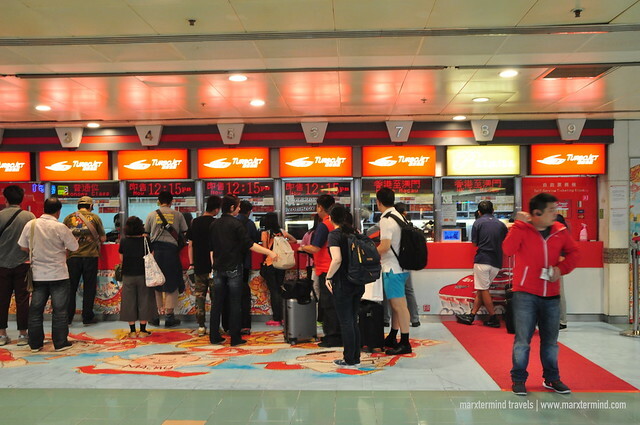 It has routes from Hong Kong to Macau, Shenzhen, Guangzhou and Shekou. The fleet provides convenient and pleasant travel experience for all passengers by offering class options that are designed to cater for different needs of the passengers. They have Economy, Super and Premier Grand class. It was such a great privilege that our group experienced the Premier Grand Class. It provided us a 5 star level of luxury ferry service. This kind of ferry service is a best option when you want to have a comfortable, lavish and exclusive ferry ride. It was past 11:00 AM when I was able to arrive at Hong Kong Macau Ferry Terminal. I was still overwhelmed with the feeling that after my 2-day ordeal at the airport in Manila, I finally arrived in Hong Kong. Yes, finally! Now, I can’t wait to be with my friends who were already enjoying Macau. I went to the ticketing service of TurboJET and redeemed my round trip ferry tickets. I was booked to take the 12:00 PM sailing. I was left with half an hour, so after getting my tickets I soon went to the boarding gate. Checking in was easy. I have a separate exclusive queue, which was very helpful because I was already on a hurry. Immigration was also easy. I was able to get to the boarding gate still early for our departure. One of the staff escorted me to the waiting lounge area and advised me to wait for his notice before we board to our ferry. The lounge has a comfortable space. I was really thankful that I booked for the Premier Grand Class. I was able to take sometime to get relaxed before I put myself again into another journey. Few minutes before departure, a TurboJET staff called us. We were the last one to board the ferry. After getting into our assigned seats, the ferry finally sailed bound to Macau. The seat on the Premier Grand Class was very comfortable. It was spacious, as well as the leg room. The section itself was also roomy. It brought a sense of ease and coziness. The ambiance was on its finest. What was also great about the Premier Grand Class was the section has its exclusive Wi-Fi network. Few minutes since our ferry departed from Hong Kong, one of the staff approached and asked me what I wanted for my meal. They handed me the menu. The menu has a selection of snacks and beverages. Lunch was also available. Since I haven’t had a decent meal yet since I arrived in Hong Kong, I opted to have their lunch offering. One of the perks when booked on a Premier Grand Class is passengers will enjoy a selection of delicious delights such as hot meals and snacks, as well as red and white wine and a variety of beverage. I didn’t know that everything in the menu could be served unlimited to passengers on a Premier Grand. 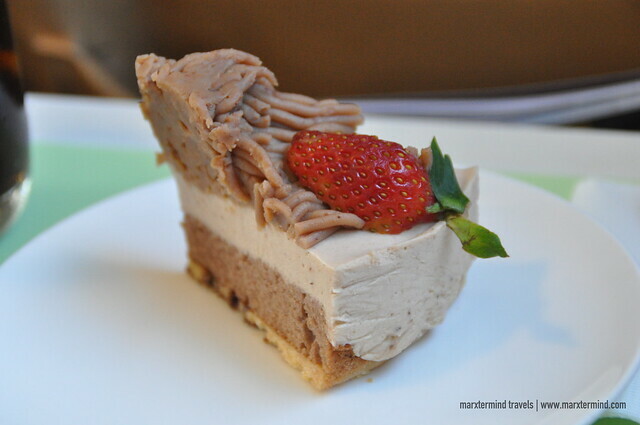 I was just able to know it when my friends told me about it when we returned back to Hong Kong. 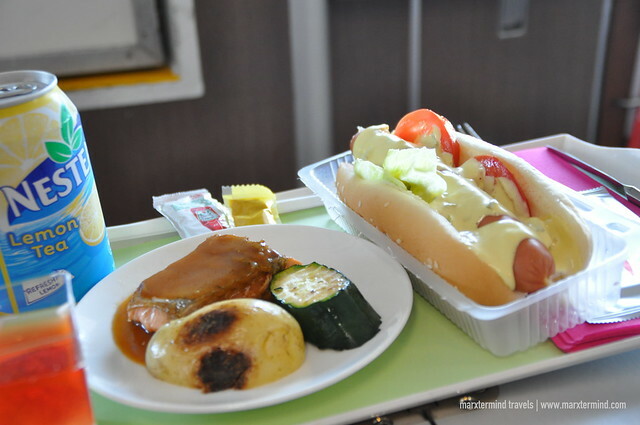 So when we returned to Hong Kong, I ordered lunch, snacks and desserts as much as I wanted. Beverages were also unlimited. The ferry ride turned out to be a feast on board. 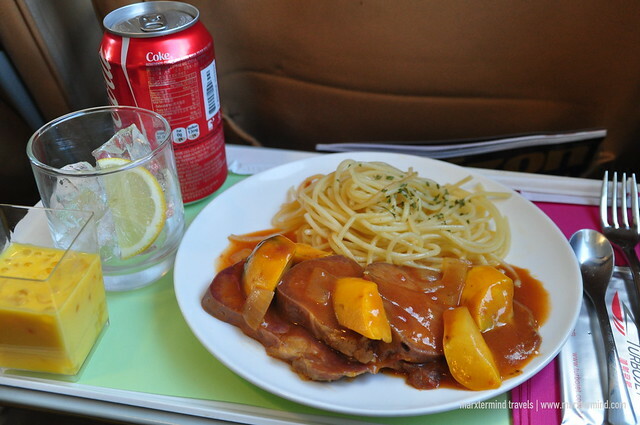 In fact, we didn’t realize that we were already in our destination because we were all busy binging to the delightful array of meals, snacks and beverages that TurboJET had. The hot dog sandwich was our favorite. My colleague was able to finish two or three and it might be more if our ferry took longer than an hour. Well, with such delicious offerings and exclusive service from TurboJET Premier Grand Class, I hope the ferry ride was longer. It was few minutes past 1:00 PM when the ferry arrived at Macau Outer Harbour Ferry Terminal. The passengers from the Premier Grand Class disembarked from the ferry first. When I reached the terminal, I was greeted by one of the staff and asked me to approach him after immigration for my complimentary land transfer service to my hotel. After immigration, I approached the staff and he brought me to the car service. Since most hotels in Macau were just nearby, I was able to reach my hotel in less than 15 minutes. Use of online meal reservation service. Simply reserve 24 hours before sailing time for specified meal choice. Enjoy privileged services at the TurboJET Premier Lounge (Shop G02, Shun Tak Centre & Macau Outer Harbour Ferry Terminal) including free Wi-Fi service, complimentary snacks and drinks, etc. Complimentary land transfer service between Hong Kong Macau Ferry Terminal and Hong Kong International Airport; or between Macau Outer Harbour Ferry Terminal and any destination in Macau. There was nothing more that I could wish for to have an enjoyable sea travel experience than taking a Premier Grand Class via TurboJET. We felt so privileged being a Premier Grand Class passenger. From the lounge, priority check in, boarding, sailing, arrival to land transfer, everything was easy and convenient. The exclusive services that TurboJET provided me and my group was really impressive. Now, my perception about ferry ride has changed. 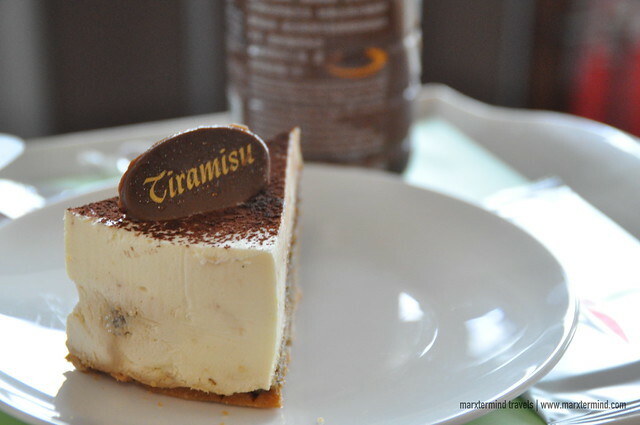 I couldn’t wait to ride TurboJET again and get access to that array of special treats and privileges that a Premier Grand Class passenger could only have. I can also evaluate your web blog reliably for the purpose of a large number of hippest post. Simply terrific together with interesting place. I absolutely enjoyed reading it all. Kudos meant for ad at this point with us. Always keep posting even more. The feel was first particularly useful right from considering to book, boarding, embarking to make sure you comer.